Potential employers will contact job references as part of the hiring process. During the job search your biggest concern is the quality of these employment references from your past employers. Find out how to optimize your employment references. Use the sample references as a guide. These reference resources will ensure your references work for you. For job seekers, it is important to start planning and preparing your employment references in advance of your job interview and not leave it until the interviewer asks you for a list of references. Who should be my references for a job? Job seekers should strategically consider who to ask to serve as employment references and who will be best able to answer the reference check questions that a prospective employer asks. People who know your strengths and abilities and who you can rely on to be positive about you. They also need to know you well enough to be prepared and able to answer any questions the prospective employer asks and to confirm your resume information. For candidates with previous work experience most references should come from former managers or supervisors or even co-workers who you have worked closely with. They are suitable if you feel they know you well enough to provide an accurate assessment of your work responsibilities and performance. Select a good mix of people that can provide information on you. This helps the potential employer to get a full picture. It is quite acceptable to include references other than your previous employers. Business associates, customers and clients are also appropriate references if they have sufficient knowledge of your skills and accomplishments. If you do community or volunteer work, members of these organizations can also be used as references. Avoid listing personal friends or family members as possible reference checks. Employers consider these sources of information to be unreliable. They must be easily contactable. A potential employer will only get frustrated if they are unable to get hold of your employment references. References should be as current as possible. Employers generally check with your most recent jobs first and regard this as the most reliable information. How do I ask for a reference? Before listing the person as a reference check, contact them in advance and get their permission. It will reflect very badly if the prospective employer contacts them and the reference is taken by surprise. Ask the reference "Do you feel you are familiar enough with my work performance to give a valid reference and answer questions about me?" Or send an email requesting they act as a reference for you. What information should I provide for references? If they are comfortable with acting as a job reference check verify all their details you need to put on your job references list including correct spelling of full name, current position and title, phone numbers, email address. Follow up with an email thanking them for agreeing to be your reference. Send it with a copy of your resume so they are familiar with the information that the prospective employer will be asking questions about. Keep them up to date with details of your job interviews. This helps them to be prepared for the phone calls or emails they may get. You can ask your references to each write a letter of recommendation that you can use as a ready-made reference to give the interviewer. This letter will also give you a good idea of the sort of responses they will give when they are contacted by phone for more information. Be aware that a potential employer will usually not consider a letter of recommendation as sufficient but will follow up with a verbal reference. 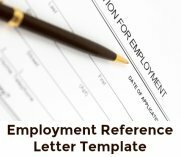 Use this sample job reference list to format your references list properly. Employers generally check references after the initial interview if they are interested in inviting the candidate for a second interview or making a job offer. 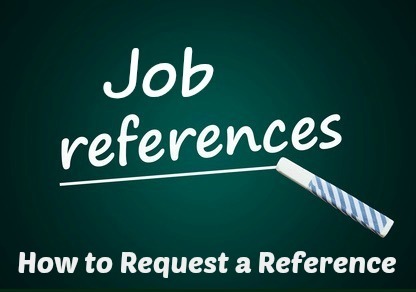 Job references are also used as a screening tool when shortlisting candidates. It would be most unusual for an employer to make a job offer without checking job references. 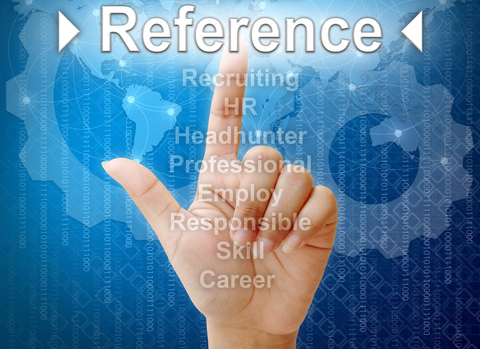 Written job references are usually verified with a telephonic reference check.